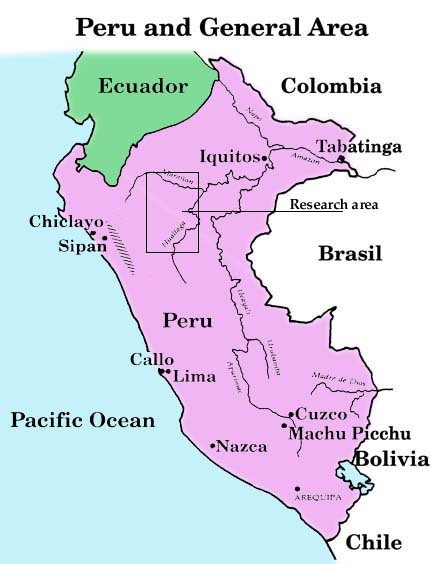 The people who live in the Peruvian Amazon river basin are called Rivereños which means "river dwellers." These people are generally either "mestizos" (of mixed European and indigenous heritage) or of the many different ethnic groups living in the area. 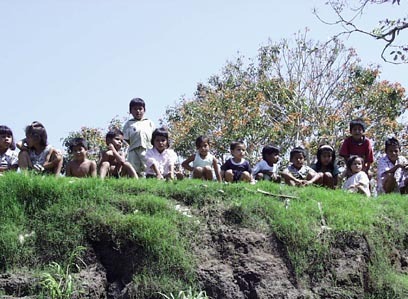 Some of these ethnic groups are the Cocamas, the Ticunas, the Yaguas, the Witotos, the Boras, the Ocainas, and the Yameos. The largest ethnic groups are the Cocamas and the Yaguas. While there are many native languages here, many of the Rivereños speak only Spanish. The great majority of the people here are Christians. The Rivereños are very peaceful and friendly people and have a tradition of hospitality. 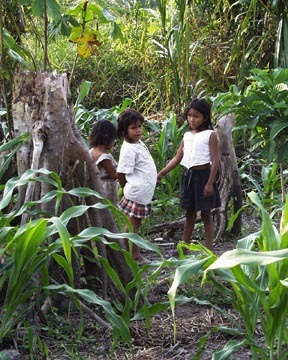 Rivereños are able to live in the forest because they fish, farm, and hunt for their food. Their diet consists mainly of fish, manioc, rice, beans, papaya, and pineapple. They grow maize, yuca, mangoes, and beans in small plots of land scattered throughout the villages. There are over a thousand types of fish in the rivers, many of which are caught by the fishermen to eat. 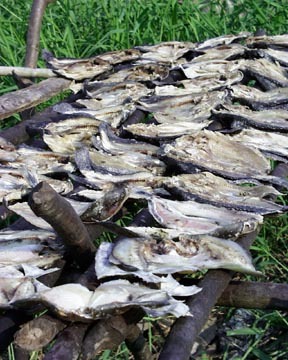 Often the fish is dried on racks to preserve it. Rivereños trade for other items they need among themselves or with others in the area. Some people travel to Iquitos with goods to sell in the markets. One of the typical dishes of the Rivereños is the juane which is made of rice and chicken. The rice and the chicken are boiled separately with seasonings and then wrapped in banana leaves. Sometimes they add hard boiled eggs and olives. The most typical drink in the area is called masato. It is made from the yuca or tapioca root. The women boil the tubers and then mash them with a large pestle. The women then chew the paste to mix it with saliva. The saliva helps with the fermentation process. They spit the softened paste into a trove where it ferments for a day or so. 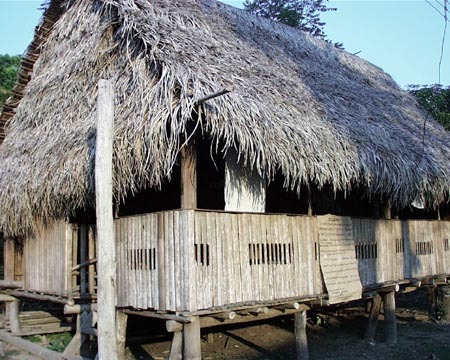 Rivereños live in thatch-covered huts that are made using the natural resources found in the forest. 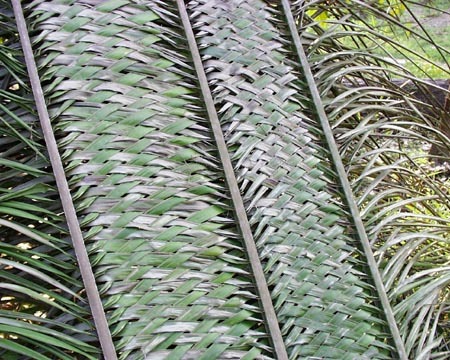 Palm wood is used for the floors and the palm fronds are used for the roofs. Generally houses have a larger central room in front with a couple of smaller rooms in the back for more privacy. There is a room for cooking and eating. The "stoves" are wood fire pits in the floor and filled with clay. The smoke that rises from the fire coats the thatch above with a residue that helps keep out the rain. Every four years or so they must replace the thatch roofs. All the houses are built on stilts a few feet above the forest floor. The river rises during the course of the year by as much as 36 feet. Where there was forest floor in the dry season, during the wet season the people find themselves living surrounded by water. Sometimes they even have to raise their floors higher because the river is so high. Going to a neighbor's house requires a canoe. 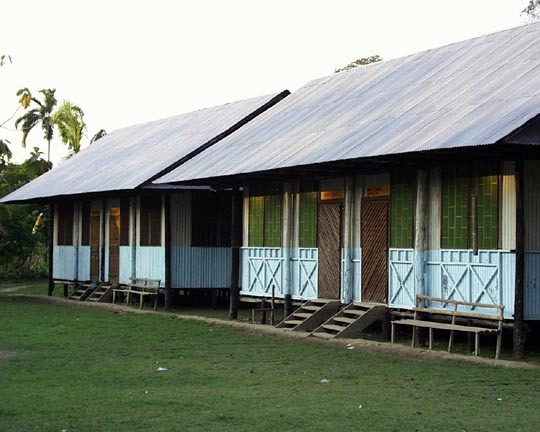 Many villages have a school house and at least one teacher. Primary education is free so that all children can go to school. In the jungle there are no school buses. Children either walk to school or travel by canoe when the water is high. In school they study science, math, Spanish, social studies, and art. Everywhere you look in the village there are children with their beautiful smiles. Like children everywhere in the world, they are also busy playing games. They are always curious about the people who come to visit them. Most children are barefooted and only wear shoes when they go to the city or for special occasions. Most villages don't have electricity so you won't find many of the modern conveniences that you find in the cities. People use kerosene lamps which are tin cans with a little kerosene in the bottom and a wick. 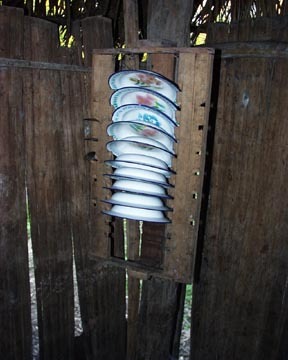 Each family has a few plates and cups, but there is little furniture in their houses. They go to bed early and get up early because the sun rises and sets about the same time all year long. During the day when they are not working they often rest in hammocks. At night they use mosquito nets when they are sleeping. In the rainforest there are no roads. The river is the highway. Everyone living along the river has a canoe. Any time of day there are people in canoes traveling up and down the river. 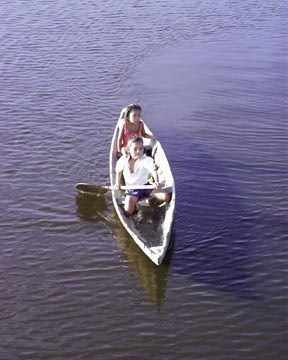 The canoes are made from hura, a type of tree found here. Some are made with cedar, mahogany or rosewood. Most are carved with hand tools. The rhythm of daily life along the river is determined by the flow of the river. "The river rises, the river falls and it is the source of all life here."